How insurance weakened a family's balance sheet? 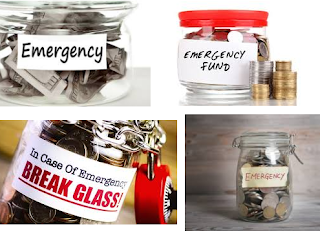 This is the continuation of a conversation with a reader who is having difficulty accumulating an emergency fund and who depleted her savings after her dual income household became a single income household. I just read on "How many 20 years and $29,000 do we have?" I have the Prulink too and have been paying for 12 years now. Apart from this I have an endowment plan to be paid for another 9 years before mature. My husband and I plus 2 kids have whole life plans, personal accidental and hospitalisation plans. You are (probably) paying too much for insurance. Your children don't need life insurance. Life insurance are for people with dependents. Children don't have dependents. I won't touch investment linked policies or ILPs (e.g. PruLink) even with a 5 feet pole. I don't mix investment and insurance. 2. You do not need whole life insurance. Definitely, your children don't need life insurance (until they have dependents). It is a luxury. Before terminating any of your life insurance policies, get covered with term life insurance of equivalent level of protection first. We should increase our income if we can but we must be sure that in the event our income suffers a dip or disappears, we are able to cope. We want to be especially careful with any long term financial commitment that takes up a significant percentage of our regular income. Making sure that these long term financial commitments are absolutely necessary will help to avoid weakening our financial health too much. This family can bring down their expenses rather significantly and strengthen their balance sheet by not overpaying for insurance and to buy only what they need. Your reader has a very "competent" insurance agent! Up-sell, cross-sell, down-sell... What else haven't offload to client? From one snake-oil to another - clap, clap. 6. Endowment plan, 9 more years. her savings and no emergency funds. I paste the link here, remove it if you think inappropriate. then can consider topping SA (again!) as a means forced savings. I remember a friend trying very hard to sell me an insurance policy donkey years ago. I found out that he was desperately trying to get a place at the million dollar round table. I didn't suggest that because I suspect that by replacing the adults' ILPs and whole life insurance with term life insurance plus terminating the children's whole life policies, they should do well enough. With 9 years left to the endowment, they are practically at or over the halfway mark. However, if their cash flow is weak and the only insurance policy they have is this endowment policy, I would suggest that they terminate it. Ak, for ppl with a large cash horde, just H&S enough? Eric, for people with enough cash to last them a few generations and if they are not concerned with wealth preservation, they don't even need H&S. For the rest of us, having a strong flow of passive income is more important than having a large cash horde as we should really be moving towards self insurance. The best insurance to have in life. Those endowments that returns 4% p.a. are older policies. The newer ones return closer to 3% p.a. You might want to take a closer look at the returns that Kyith shows in his blog post. Indeed, the last time I got 4% per annum from an endowment policy was from UOB Life Guaranteed Rewards. That endowment policy was bought almost 20 years ago. I have not been able to find another product like that since it matured. -.-"
If hubby is SAFRA member, go have a look at their term policies. Very affordable, and turns insurance agents face black-black. For SAFRA group insurance, take note the premium is not guaranteed, the terms can be changed without our consent and coverage can be cancelled at any time. So, it is prudent not to depend solely on group insurance. In the event of a divorce, the ex spouse is no longer covered. However, in the event of being a widow, the coverage is still there. Hi AK, is there an proportion of income that one should be spending on insurance to ensure one is not overly burdened with insurance expenses? The question of how much insurance is sufficient is more pertinent. Know how much insurance we need and don't overpay. Of course, we want to pay as little as possible to get the coverage we need, all else being equal. should annuities have a place in retirement planning? these are guaranteed payout upon reaching your selected payout age. CPF Life is an annuity. As a tool to help ensure a regular income in retirement, annuities should definitely be given serious consideration. An annuity: Would you rather have it or not? yes, i understand the part of cpf life. i was refering to private annuities to complement CPF life. should it be used to complement CPF life? how do we evaluate if a private annuity is good? there are so many permutations. ie, pay out amount, payout age, etc etc. guaranteed income, non-guaranteed etc etc. also, say for eg, base on the eg in your link, a premium for annuity cost 250k..
would it make sense to break up that premium into 2x tranches. so 125k each and get from 2 different pte annuities. that way, the guaranteed portion would be slightly higher? and also incase one of them folds? With CPF Life, we can go 50% above the Full Retirement Sum. This is, of course, the Enhanced Retirement Sum. This would give us a rather nice regular monthly income from age 65. If we dislike volatility and want to reduce risk in retirement funding, we could get private annuities to complement CPF Life. To reduce counter party risk, it might be a good idea to divide the cash meant to buy a private annuity into 2 or more parts and get annuities from different annuity providers. SDIC insures private annuities only up to $100K of payouts and that's only for the guaranteed portion .... non-guaranteed payouts not insured. also with so many annuities in the market, what returns would be considered decent? With longevity risk, ideally, annuities should pay us till the day we die. What is a decent return? I have not done any comparison lately but I know none is able to come close to what CPF Life is able to generate which is a minimum of 4%. However, if it is only 2.5%, I might as well just do annual VC to my CPF account as the OA pays 2.5%. So, intuitively, I would demand at least 3% from a private annuity. Yes, I would focus more on what is guaranteed. In retirement funding, we need certainty. I would, if possible, forgo the non-guaranteed portion for an increase in the size of the guaranteed portion even if the increase is a smaller amount than than the non-guaranteed amount forgone. The report highlighted that with CPF's interest rate structure, CPF Life is able to provide an effective annuity rate of 7.1 per cent based on a $100,000 premium. "This compares favourably with life annuities in most markets," stated the report. The annuity rate was calculated based on the ratio of annual payout to premium paid, for a male member born in 1962, or is 55 this year, who receives payouts at age 65.
for some reason when i calculate the returns for the FRS vs ERS. the returns is higher for FRS than ERS. wouldnt a higher premium, supposedly give u higher returns? also, when u break it down furthur, the FRS - SP (7.6%) is superior than BP (6.57%) or EP (6.92%). not sure why christopher tan (providend) says that BP is better than SP "mathematically"
In terms of interest rates, the first $30K gets 6%, the next $30K gets 5% and anything above $60K gets 4%. This is why BRS will have the highest effective interest rate, followed by FRS and ERS. The CPF is not a commercial product. It has a social mission which is to help members who have less savings a little more than members with more savings. That guy from providend is talking about "total return" i.e. payouts + bequest. For SP to provide higher total return than BP, a male needs to live past about 91 or 92 yrs old. He's figuring that he'll most likely up lorry before that, hence BP is his choice. This kind of thinking more suitable for those who want to leave something for beneficiaries, or has other adequate retirement sources & just wants to maximize "returns" from CPF. For those with no beneficiaries or who treat CPF Life as pure retirement income with no or minimal death value will focus more on SP or EP. if thats the case, why not just use the BRS then? or, in your case, buy FRS and the balance for pte annuities? Ooops ... hope it wasn't too big a bite! Kekeke!! I will most likely stick to FRS. I don't like BRS because it means I would have to pledge my home. Would you still require while life insurance policies if you have a special needs child? This means there’s a chance your child would still be a dependent even when he/she is an adult. Also, is there a difference between term life insurance and whole life insurance? I like the idea of term insurance which I understand has a much lower monthly premium. But how do you guanrantee insurance coverage when you are in your old age or when you’re not working any more ie no income? In our old age, chances are that we would not have dependents anymore. So, we don't need life insurance in our old age. Also, if we are retired without an income, it becomes a terrible burden to pay for life insurance (that we don't need). Remember, no one cares more about our money than we do. The salesperson's job is to sell products and services. Our job is to decide if these products and services are needs or wants? Do not let the salesperson decide for you!